There’s a lot of talk these days about golf club length, and how to measure it. With the recent rise of Bryson DeChambeau, who has elected to play irons that are all the same length, the conversation has been reignited with two schools of thought: graduated shafts and single-length shafts. The latter’s case has yet to be universally proven, especially for the amateur golfer. 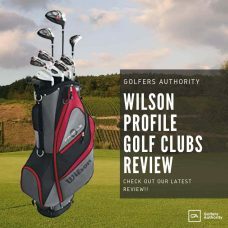 In this guide, we explain the importance of being measured for your golf clubs and why you should consider doing this the next time you purchase a new one. What is Golf Club Length? It may sound fairly obvious, but the length of a golf club refers to the distance from the heel of the club, when it rests on the ground at address, to the end of the grip. There are golf club lengths for each club that are known as standard. The standard length of a golf club is typically the starting point for everyone when they buy a set of clubs. 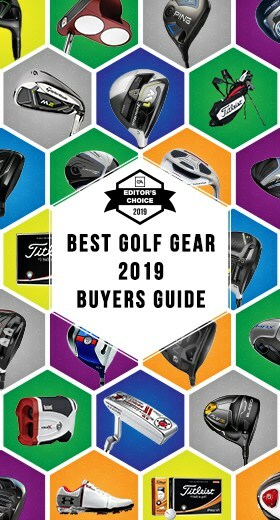 If you go to your local golf store, you’ll typically find clubs that are all standard length. One thing to keep in mind is that there is a different standard length for men’s and women’s clubs. The length of a set of clubs is communicated simply by the amount over (+) or under (-) the standard length. The problem with standard length clubs is that not every golfer is the same size and not every golf swing is the same. Those differences in size and swing can dramatically impact the effectiveness of a golf club. For example, an average sized person with a fairly normal golf swing may be able to hit standard clubs really well because they happen to be fit perfectly. On the other hand, a tall, or short, player with a flat, or upright, swing will change how a club contacts the ball and, therefore, makes it less effective. 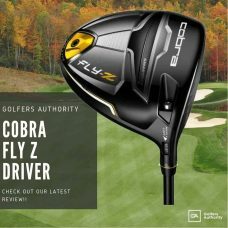 So, in this article we’re going to look in to determining the right length for your golf clubs based on the graduated shaft approach. What is the Graduated Shaft Approach? The graduated shaft approach basically means that a set of clubs gets slightly longer as the club’s desired distance increases. 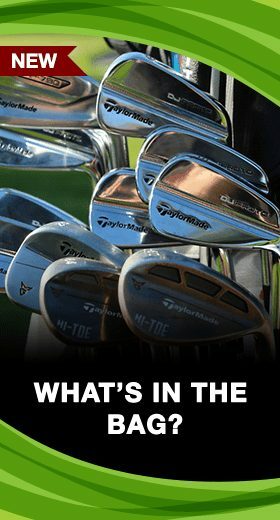 In these sets of clubs, a pitching wedge is shorter than a 9-iron, an 8-iron is shorter than a 7-iron, and so on. This is, by far, the most popular approach to golf club length. There are several factors we’ll dig in to, but first we need to clearly define what we mean when we’re talking about golf club length. The length of a golf club may seem to be a fairly simple characteristic, but it is actually quite important. A club’s length will affect how flat or upright a player needs to swing. The shorter a golf club, the more upright the same player will need to swing in order to hit the ball well. Club length also affects club head speed. Club head speed influences a shot’s distance too, so a longer shaft will help a player hit the ball farther. That’s why you often see long drive competitors swinging drivers that are as long as possible. Next, club length also affects accuracy. In general, a shorter club will be easier to control and, thus, will be more accurate. Finally, a longer club is also more flexible than a shorter club that has the same shaft. So, when you cut down or extend a club’s length, it will either make the club slightly stiffer or slightly more flexible. Finally, and most importantly, a club’s length will also have an impact on a player’s consistency of impact. Having the right length of club will make it significantly easier to hit a shot solidly. Like we said, there are several factors that need to be considered when selecting club length. The first, and perhaps most obvious, is your height. In general, the taller a player is, the longer the clubs they ought to have (though this isn’t always true, based on the next factor discussed below). This is because a taller player has farther to reach down to the ball. A longer club for a taller player allows that player to reach the golf ball at the same point in the swing as a shorter player with a standard golf club length club. The next factor that needs to be considered is the distance from your wrist to the ground. This is measured by standing straight up and letting your arms hang down freely by your sides. This number typically correlates generally to your height; the taller a person is, the farther their wrist is from the ground. With these two numbers, you can figure out how long your clubs ought to be. Check out the chart in the section below to see what length of clubs works best for your size and swing. So far, we’ve been talking about the length of irons, drivers, and hybrids—the clubs you most often swing fully. Every golfer has another type of club in their bag though: the putter. For putters, there isn’t a standard length. 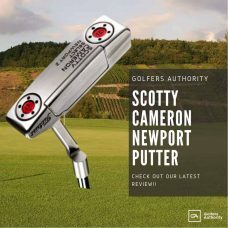 When you buy a putter, typically, the golf store will let you know its length. Most normal putters are between 32 and 37 inches long; though in recent years, putter lengths have been tinkered with quite a bit. If you’ve watched much professional golf, you’ve probably seen golfers who have long and mid-length putter shafts. Bernhard Langer and Adam Scott are two players who have often used long putters and Matt Kuchar and Bryson DeChambeau often use a mid-length putter. These are putters that either reach up to a player’s upper-body (long) or abdomen (mid-length). Because of this movement, putter length depends a lot on your putting style, comfort, and height. If your putting stroke is fairly standard, your putter length will probably be between 32 inches and 37 inches. 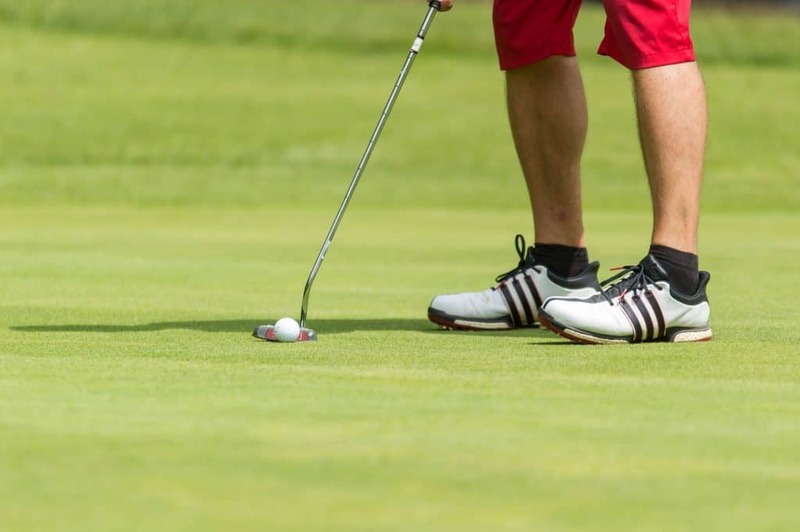 The taller you are, the longer your putter will probably be, but that can change based on how much you hunch over the golf ball when you putt. First, set up to a golf ball like you’re going to putt. Then, hang your arms straight down. The ideal putter length is one that allows you to hang your arms freely at your address position, and hold the grip of your club. You also want to make sure the putter length allows your eyes to rest directly over the ball, or slightly inside the ball. These factors will help you select the right length of putter. All those things being said, make sure that, whatever length you choose, it is comfortable to you. One of the most important things about putters is a player’s comfort level. The putting stroke is a feel shot more than any other, so if you don’t feel right standing over the ball, then you’re less likely to be successful with the shot. 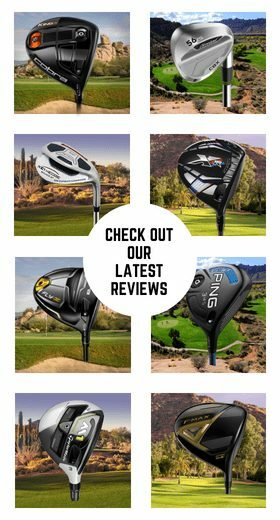 The nice thing about golf club length is that it can be changed fairly easily; there’s no need to buy new clubs to get ones that are the right length. Instead, there are two approaches to changing your golf clubs’ length, if needed. The first, is simply to buy brand new shafts in the right length for each of your clubs. Then, you would have to remove the old shaft and install the new one. However, the approach I would recommend, and the less expensive approach, would be to cut down or extend your current shafts. To do this, simply remove your grips and the tape underneath. Then, you’ll have an exposed shaft on the end of your club. To cut down the shaft to a shorter length, measure the amount you want to cut off and use a shaft cutter to take that amount off the end of your club. If you want to extend your club, you’ll need to buy a shaft extension that you’ll put in the end of the club to make the shaft longer. Make sure you get an extension that is the same material (steel or graphite) as your current shaft. Once you’re done with those steps, just put the grip back on like normal. The length of your golf clubs is one of the most important factors to consider with your golf clubs. 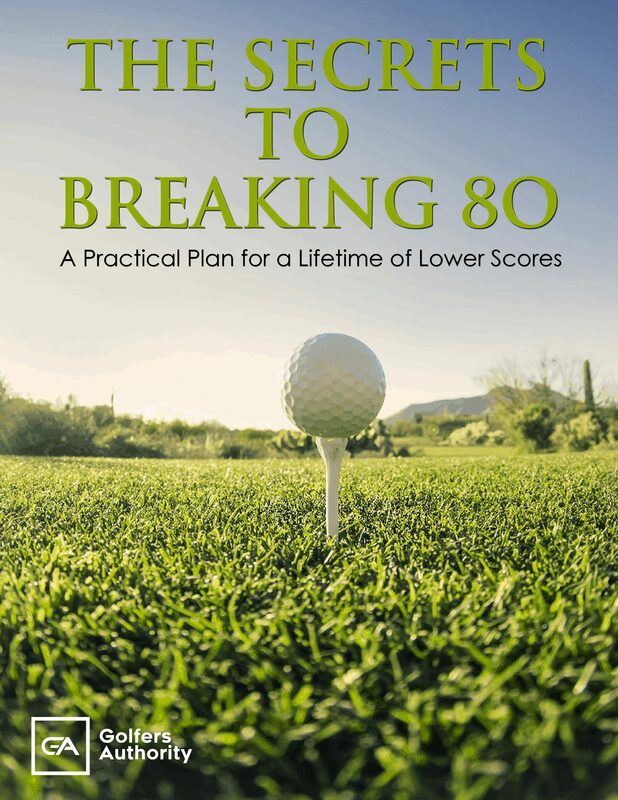 It can dramatically influence the playability of your clubs and, therefore, your overall skill. 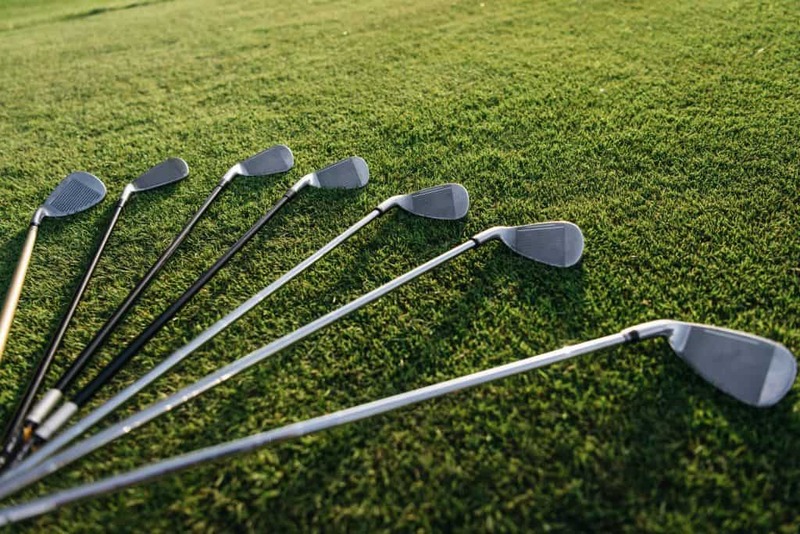 So, make sure that your clubs are the proper length for your game. If you do that, you should find that you can execute your desired shots more often, play more consistently, and enjoy the game even more.